When travellers think about Morocco, thoughts of busy souks in Marrakech, or picture-perfect riads often spring to mind. 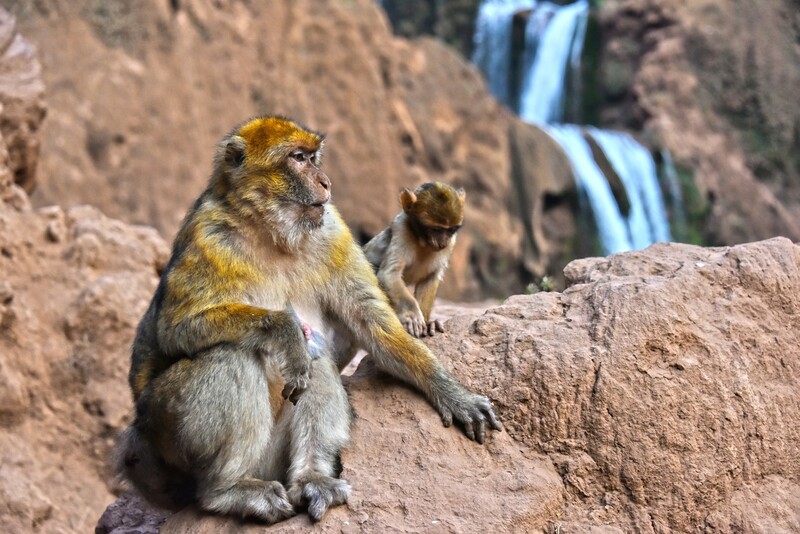 But little do tourists know that Morocco is also home to a number of great wildlife spots found deep in nature. Sadly, the Moroccan landscape is starting to succumb to deforestation and overgrazing livestock, which means a number of animals are now endangered. But despite this, the country is trying to reverse these issues, in order to preserve what’s left for visitors. 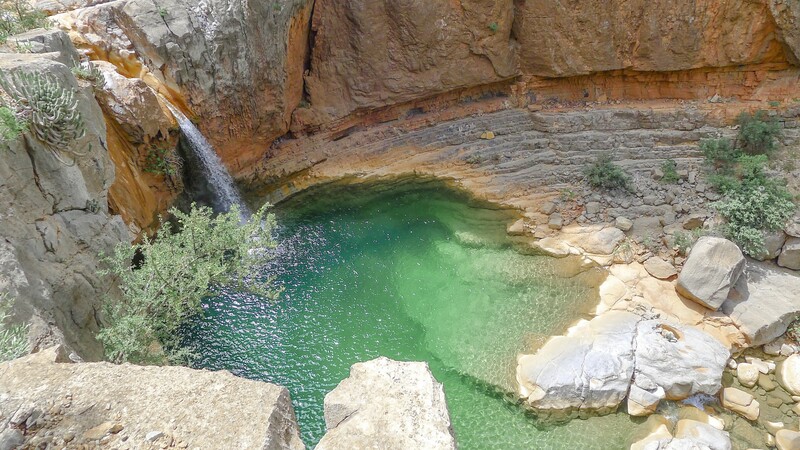 And as Morocco is not often thought about when considering wildlife and nature-inspired travels, a number of these recommended spots are also fairly quiet areas to investigate as well. 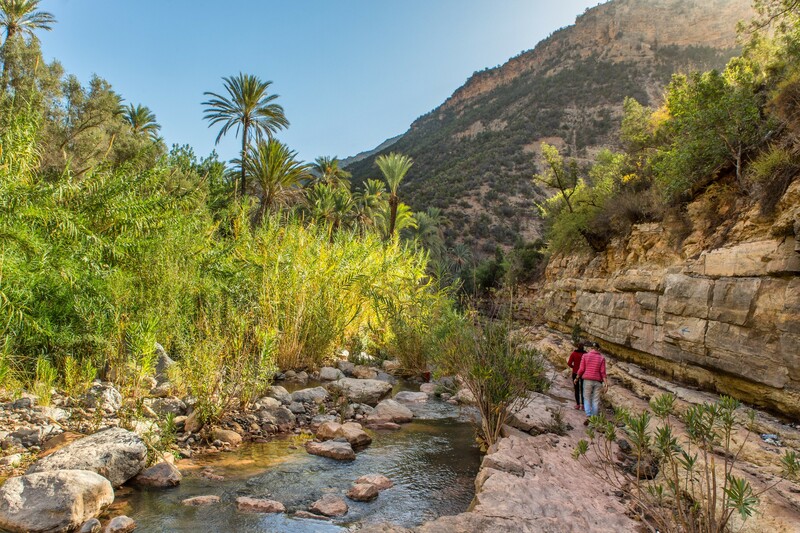 Set deep within the High Atlas Mountains, and one of the most beautiful areas in Morocco, is Paradise Valley. It’s a total haven for nature lovers, offering the chance to see exotic birds in their natural habitat, as well as winding rivers, cliffs, gorges, cacti and acre upon acre of palm trees. It’s easy enough to drive to the valley and navigate it yourself if you wish, or you should also be able to find multiple day tour options from neighbouring Marrakech and Agadir, if preferred. If venturing here for the day, I’d highly recommend checking out two rest stops along the way. 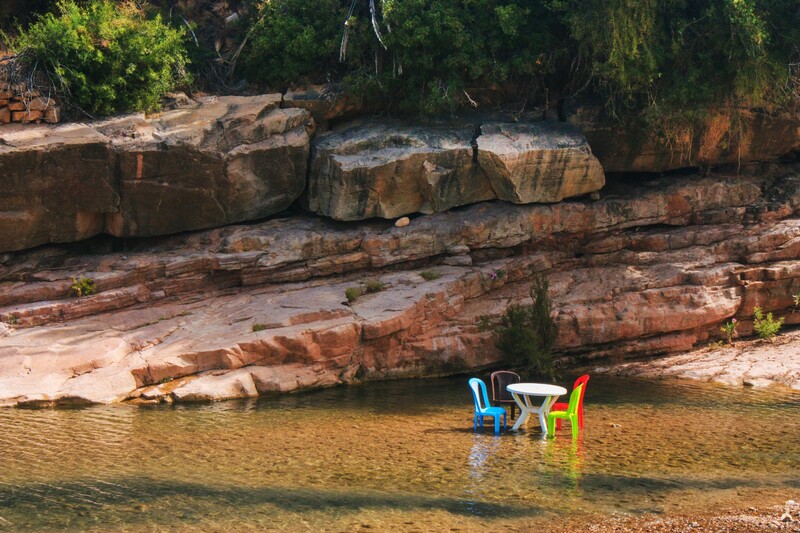 The first, called Cafe Tropic, offers you the opportunity to chill with your drinks right by the river. While the second, the Panoramic Cafe, serves traditional Moroccan mint tea atop a terrace that overlooks a large section of the valley. Although Birds Valley is technically a small zoo found within the seaside town of Agadir, it’s a great little space to come to when looking for wildlife, and when you don’t (or can’t) venture out too far afield. There are various animals here; some are native to Morocco, while others come from further afield such as Brazilian goats, Australian wallabies and Peruvian llamas. The setting itself is particularly picturesque, thanks in large part to the mesmerising waterfall you’ll find towards the middle of the park. And the best bit? This little reserve is completely free to wander around. Spanning some 1,600 miles across Morocco, Algeria and Tunisia, the Atlas Mountains are the perfect opportunity to spot some local wildlife. 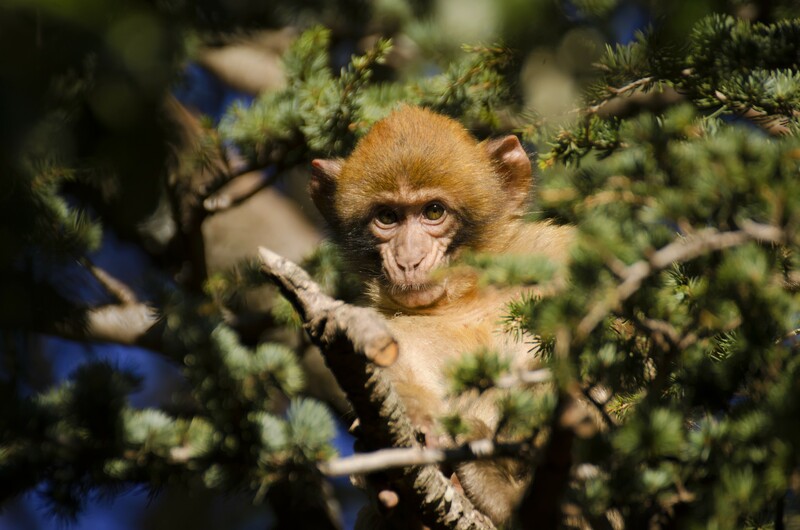 One of the most highly anticipated sightings would have to be that of the Barbary macaque, whose numbers are sadly in decline across Morocco. You may also spot fennec foxes, sand cats, hyenas, geckos and lizards to name just a few. Although it’s possible to rent a car and drive across part of the Atlas Mountain range yourself, it would be recommended to book a tour if you want to explore a larger part of it. 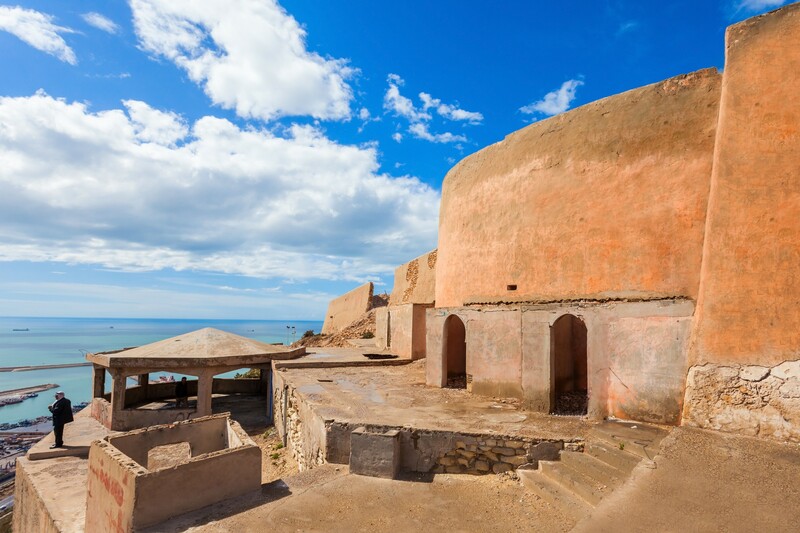 Agadir’s Oufella Ruins offer 360-degree views across the city, fishing port and beach, as well as the opportunity to view a piece of Moroccan history up close. Back in 1960, Agadir was annihilated by an earthquake, prompting a rebuild of this increasingly popular tourist destination. The Oufella Ruins, a medieval kasbah, wasn’t rebuilt, so offers a glimpse into just how devastating this earthquake must have been (especially when you consider the ruins are atop a large hill!) And while you’re up here, you have the opportunity to see some grazing wild goats, alongside the incredible views already mentioned. Coastal cities within Morocco, such as Agadir, Tangier and Casablanca, offer the opportunity to spot marine life such as porpoises, dolphins and various sea birds in abundance. As with the rest of the country, other wildlife sightings have been declining in numbers over the years. 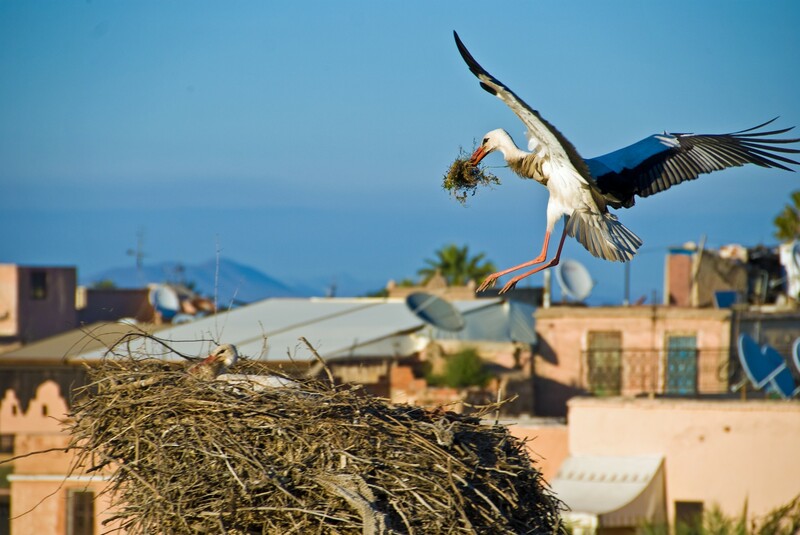 But the nature reserve found south of Agadir, Souss-Massa National Park, offers a fantastic option for bird sightings. 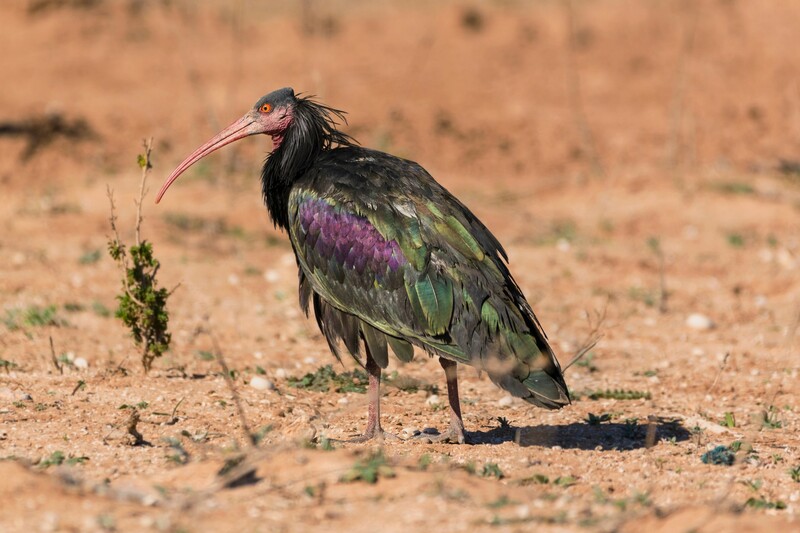 The bald ibis, for instance, can often be found here, despite being an endangered species. So, if it’s wildlife that you’re after, head out to the coast to get a larger array of options. Despite Morocco suffering from the environmental issues I mentioned earlier on, I hope this blog is proof that not only does Morocco still offer the opportunity to spot rare wildlife, but that there is also much more to see here aside from the infamous souks and riads. I’d urge anyone visiting Morocco (and with the time to spare), to spend some time exploring many facets of the country, each more tantalisingly different from the last. If Justine’s words have inspired you to explore Morocco and its wonderful wildlife, then get in touch with our local experts, who are on the ground and in an excellent position to plan your perfect tailor-made holiday to Morocco. To speak to someone in the TravelLocal office, please call +44 (0) 117 325 7898. Justine Cross is a business blogger and travel writer from Bristol, England. She’s been travelling the world for over five years, and writes about her adventures (and misadventures) on her travel blog, Wanderer of the World.